Mercury is a natural but very poisonous chemical element, to be more precise heavy silvery-white metal. It is most commonly found in a form of mercuric sulfide. Mercuric sulfide is obtained from cinnabar. There are many fields in which mercury is used and paint, batteries and thermometers are only some of the products that contain this chemical element. Furthermore, the element is a component of amalgam dental fillings. Mercury poisoning is a serious condition that develops as a consequence of an exposure to too much mercury. The symptoms of such poisoning are systemic, meaning that the substance affects many organs and organ systems. One of the systems commonly damaged in case of mercury poisoning is the immune system. One may get exposed to different forms of mercury and a variety of products that actually contain this chemical element. The leading cause of poisoning are amalgam dental filings. Furthermore, poisoning may occur if one consumes fish contaminated with mercury. People who are professionally exposed to mercury and are not properly protected are at a higher risk of poisoning. There have even been cases of mercury poisoning due to certain cosmetic and hair products. Such products have been banned. Exposure to mercury affects many organs and organ systems hence there is a variety of symptoms and signs of poisoning. Mercury poisoning leads to inflammation of the oral cavity, loss of jaw bone, ulcerations on the gums and other parts of the mouth. Teeth become loose, gums dark, they may bleed and one may complain about metallic taste in mouth. Furthermore, gastrointestinal symptoms and signs of mercury poisoning include cramps, inflammation of the colon and diarrhea. Mercury also affects the cardiovascular system and leads to weak pulse, changes in blood pressure, chest pain and discomfort or even feeling of pressure behind the chest bone. Respiratory problems develop in a form of breathing difficulties and persistent cough. Headache, vertigo, tinnitus, shaking of different parts of the body such as eye lids or feet are some of potential neurological symptoms of mercury poisoning while psychological symptoms include angry fits, short-term memory loss, sleeping problems and loss of the ability to learn new things. In children, exposure to mercury may cause many types of autism such as Asperger's syndrome, PDD-NOS as well as ADD. Neurological symptoms and signs of mercury poisoning in children are decreased eye contact, flat affect and repetition of certain actions. Such children may not respond to their names, are not interested in an object they are shown and have low level of both concentration and attention. Sensory stimulation is poor as well. Additionally, language and speech symptoms include loss of speech or delayed speech, decreased understanding and articulating words and problems remembering some words. And finally, their behavior also changes so it has been known to happen that they become aggressive, irritated and anxious or suffer from sleep deprivation. Flushing out controlled substances using herbal tea? How Healthy Are Herbal Products? 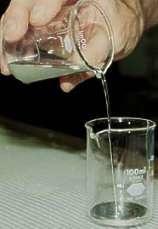 What are the most common consequences due to mercury intoxication?